The legal market is changing and becoming more competitive. 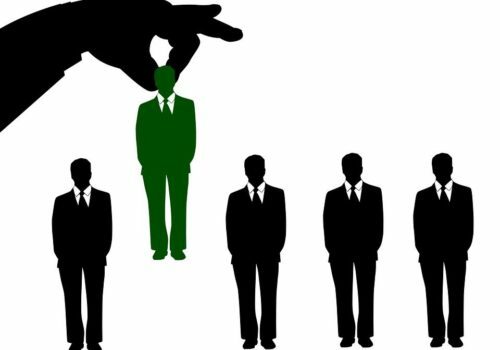 For legal employers, it is becoming increasingly important to distinguish one desirable candidate from another. There’s no reason that the standards from twenty years ago are the same standards today. If you are looking to build a great team of attorneys, you will need to reassess who they hire, and consider reframing interview questions. Hire the associate who is self-aware, perceptive, and can effectively communicate. The legal profession is ripe with attorneys who lack soft skills—and it is usually after law school that we learn that soft skills are important. The sooner associates can handle client interaction, the more valuable they are. An associate must be well-spoken and inspire confidence in the client. An ability to read social situations correctly, and a mature confidence and social intuition is invaluable (and very difficult to train). A new lawyer who can handle him or herself socially is an asset that will pay dividends down the road. Hire the associate who is familiar with technology and is unafraid to use the most expedient way to get to the correct answer. Despite the stereotype, not all millennials are comfortable and familiar with technology (many young Associates don’t even have a LinkedIn profile). Ask your candidates about how they use social media and how they will leverage the internet to marketing their services in the future. Clients are expecting more out of their firms and lawyers. Hire the associate who can get along with a client and learn the client’s business along with what they want. Client goals and expectations must be taken into consideration even at the associate level, and your team will benefit most from the associate with an interest in learning the client’s business. Hire the associate who is organized and can do the work efficiently. Lawyers are expected to manage tremendous workloads. Find a way to learn about how the candidate prioritizes matters and how they approach completing multiple tasks and projects. Hire the associate with a positive, can-do attitude. The law is tough; you want someone who is coming in with the understanding that the work is difficult, yet engaging and rewarding. It is important to find a candidate that is solution-oriented approach to create an openness to new possibilities. A candidate with that attitude is the one who will bounce right back up after falling down. The RMN Agency has successfully filled hundreds of positions for all various types of attorneys throughout the Atlanta area (view attorney job openings).